We have been homeschooling for about 4 years now and have moved beyond the "curriculum-in-a-box" method and have been enjoying the "build-your-own" approach. I never knew I would ever get to this point. When we started "formal" homeschool, I relied on packaged curriculum because I was afraid I wasn't going to be able to teach everything my daughter should be learning. Packaged curriculum is a wonderful blessing and we are fortunate there are so many great options available today. Having said that, I also have to say that it can be very expensive (especially if you are schooling a number of children). Some packages can be hundreds of dollars per child per year and often the materials are not reusable. 1. Get curriculum from your school board/school district - Now, this is obviously not an option for folks who dislike the public school curriculum (or find it lacking in some way), but I'm going to throw it out there. I could see this being a good choice for, say, mathematics, especially if you aren't much of a math person. Here in PEI, you can get textbooks and other resources from the Provincial Learning Materials Distribution Centre. They require that you pay a $50 deposit per child per year (I'm fairly certain it is refunded when the materials are returned). 2. Buy second-hand/used curriculum - Keep an eye out at thrift stores and yard sales for homeschool and academic materials. This may be difficult if you're not in an area where homeschooling is popular. However, if you can find a local homeschool support group, often families are selling (or giving away) items that they no longer need or want. 3. Borrow curriculum - If you know some families that homeschool (perhaps through your church), ask if they have some materials that you could borrow to try out before you commit to buying anything. Of course, there are tons and tons of free resources (books, worksheets, lapbook materials, copywork pages, etc) available online on many different sites. 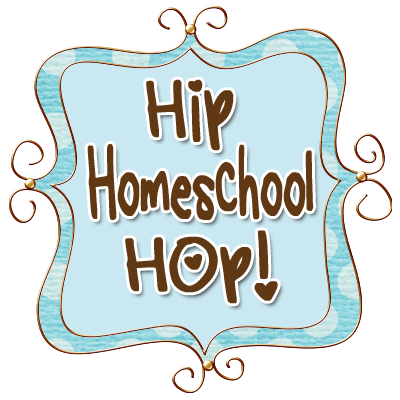 Homeschool Freebie of the Day is a great site for free materials. DLTK is a good site for all sorts of education, craft, and colouring stuff for younger children. Honestly, there are too many places to list (you should see my bookmarks in my "Education" folder!). Do a Google search for "free homeschool curriculum" to get you started. As, you can see, there are many options for low cost curriculum and home education does not have to be a costly venture. I hope this has been helpful to you and thank you for visiting! This post is also linked to Look What We Did! Just a quick note to let you know that you one of the most popular links at Look What We Do, and because of that, I have featured you!